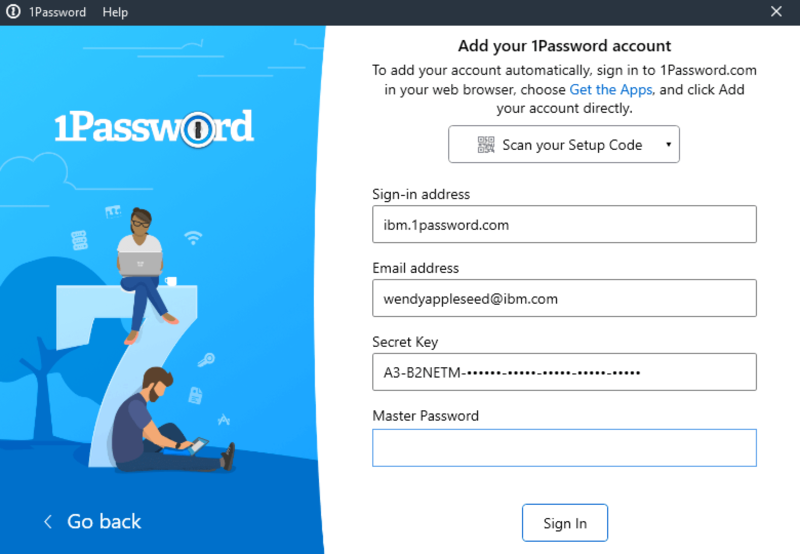 Learn how to set up 1Password on your Windows PC so you can start saving, filling, and sharing passwords. Open Get the Apps in your browser, then download 1Password for your PC. Open your browser and sign in to your 1Password account. Click your name in the top right and choose “Get the Apps”. Click “1Password for Windows”, then click Save File to download it. Double-click the 1PasswordSetup.exe file in your Downloads folder to install 1Password. 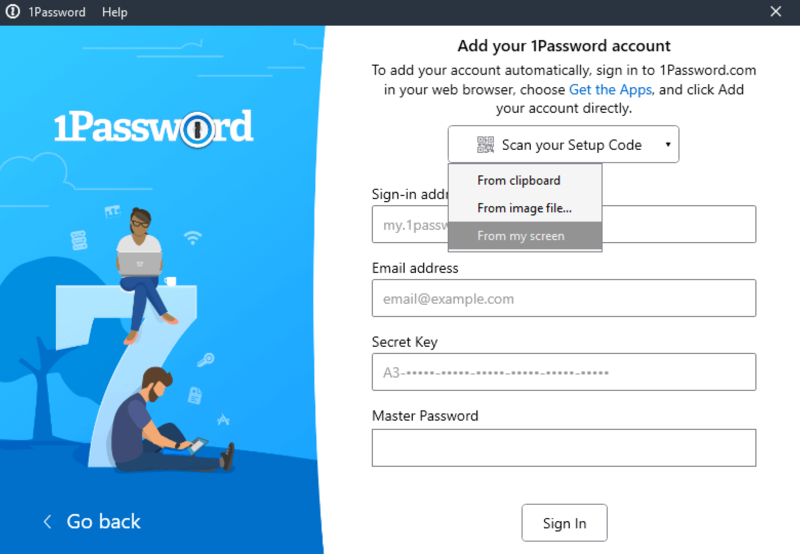 Add your account to 1Password for Windows so you can view and manage your passwords. 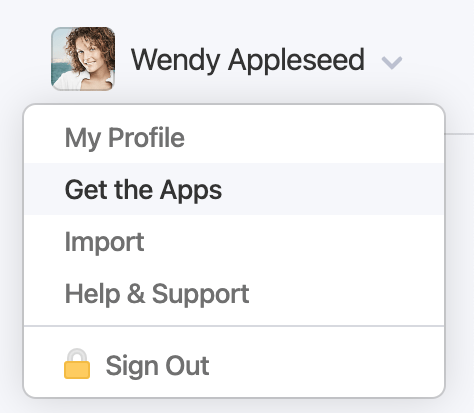 Open the 1Password app and click “Sign in to 1Password.com”. Click “Scan your Setup Code”, then click “From my screen”. Enter your Master Password, then click Sign In. The 1Password extension helps you save and fill passwords. If you use Chrome, Firefox, or Opera, install 1Password X. 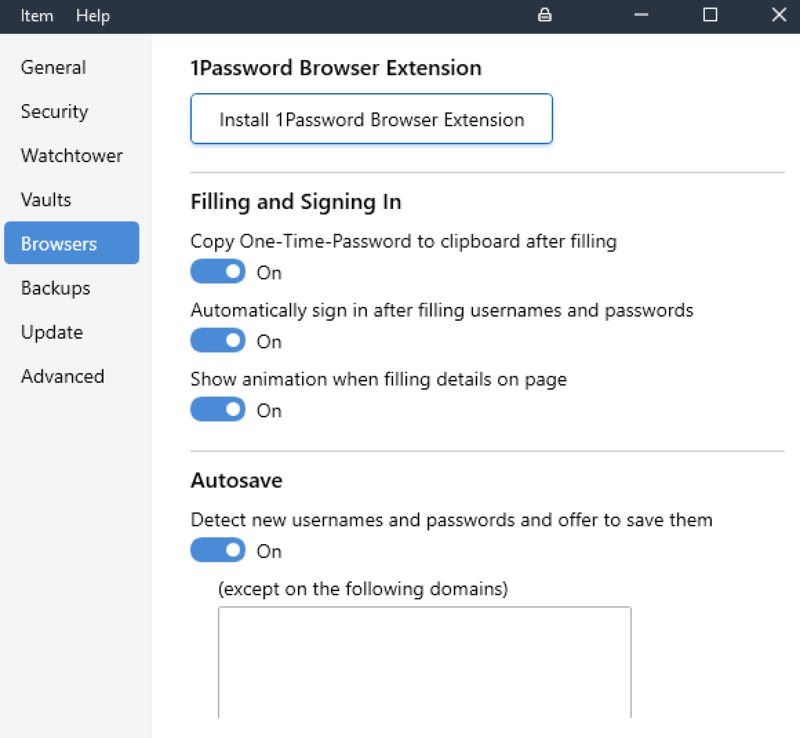 For Microsoft Edge, click 1Password from the menu. Go to Settings > Browsers and click Install 1Password Browser Extension. Click Install under the Edge icon, then click Get and follow the prompts. To stop your browser from interfering with 1Password, turn off the built-in password manager. 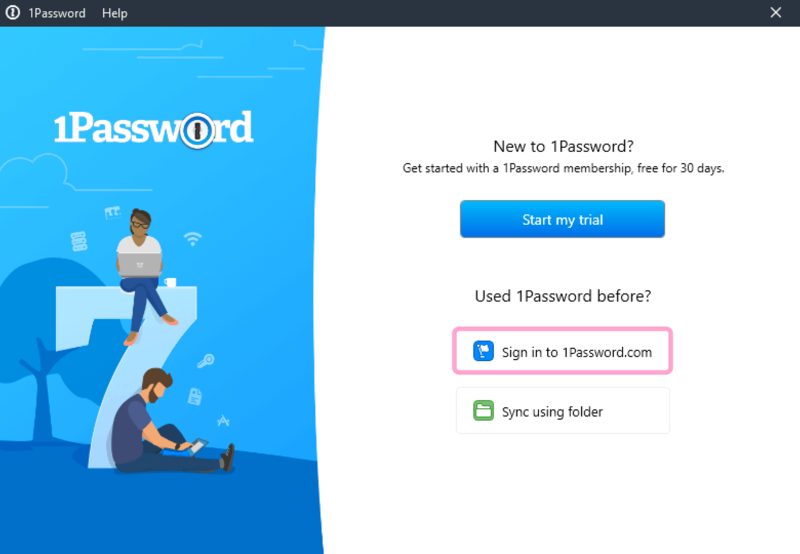 Learn how to use 1Password to manage your passwords, credit cards, secure notes, and more. If you have any trouble setting up or using 1Password, contact your IT team.